FERC ruled last week that an existing Montana wind farm awaiting a new interconnection is exempt from a recent commission order requiring all new generators to be capable of providing primary frequency response. The commission’s Nov. 15 ruling said Order 842 does not apply to NaturEner’s Glacier Wind Farm II, which has been in the queue for Enbridge’s Montana-Alberta Tie-Line (MATL) since 2013 and currently the only resource to request to join the 214-mile, 230-kV AC line extending from Lethbridge, Alberta, to Great Falls, Mont. (ER18-1788). The wind farm began operating in SPP in 2009. Order 842 requires all new generators to be capable of providing primary frequency response as a condition of interconnection. The rule has been in effect since May. Enbridge’s U.S. operating subsidiary for the line, MATL LLP, asked the commission to clarify that Order 842 does not apply to the pending interconnection request, saying the wind farm applied for interconnection and was studied before the rule was issued. The company said requiring frequency response service would “cause significant equipment installations and system restudies that would cause unduly burdensome delays and expenditures.” MATL estimated that restudies would cost anywhere from $15,000 to $20,000 and take three to six months. MATL noted that its has nearly completed the associated interconnection studies with NaturEner and expects to proceed with the negotiation of an interconnection agreement in the near future. 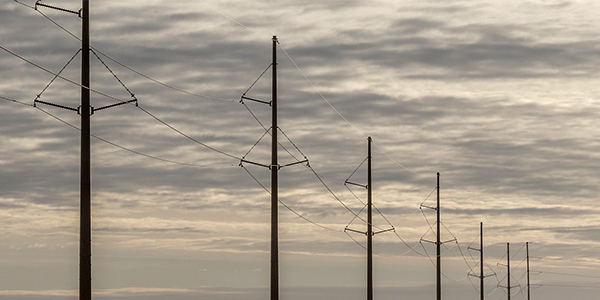 FERC proposed revising its pro forma generator interconnection agreements to require all newly interconnecting facilities to install and enable primary frequency response capability. FERC issued a Notice of Inquiry, seeking comment on potential changes to its rules on the provision of primary frequency response. Generators would be permitted to sell frequency response services at market-based rates under a rule proposed by the Federal Energy Regulatory Commission last week.